ALCOCK R.C. - British Postmarks. ALCOCK R.C. and HOLLAND F.C. - British Postmarks. A short history and guide. 314pp + ads. 2nd ed. 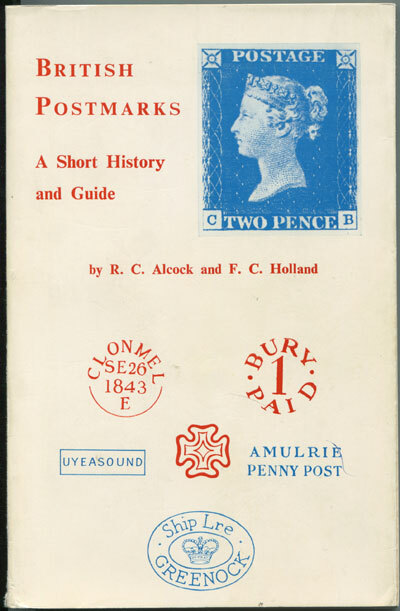 clean in original card covers.Standard guide to postmarks.